Boutique agency - small and effective! 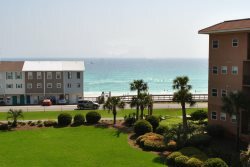 Choose Personal, Professional Property Management for your Destin Vacation Home. "My wife and I just want to say thank-you for all the hard work you do keeping our unit full. The number of bookings we received through you has been beyond what I ever expected for our first year, much less just summer. Switching to Coastline Condos was the best move we could have made for a management company. People always say something when they are unhappy. I believe the same should be true when someone does a good job. Thanks and keep up the good work. We really appreciate what you do." A recent comment from an owner with us for several years. "We have lived here for 10 years and have many friends with rental property. None have done as well as we have done with you. "You are doing great with rentals this summer. That is awesome! Great job!....... YAY!!!" Our goal is to make vacation property ownership EASY and PROFITABLE for YOU! 24/7: We manage vacation rentals 24/7 – We have round the clock reservationists who answer the phone and can book your property no matter what time a potential guest may call. We respond quickly and professionally to guest inquiries, vacationing guests and homeowners. Also, we respond to emergencies 24 hours a day. We provide all guests with our after-hours emergency number so they can report a problem or make a request 24 hours a day. Guest Services: From reservation inquiries to secure, online booking; from check-in to repair calls; from housekeeping and inspections; your property manager takes care of the guest experience at your vacation home 24 hours a day. We have a guest services coordinator who will take care of your guests any time. Marketing: Who knows better how to market your vacation home than a professional manager? We maintain and market to an established customer base of thousands of guests who will be returning year after year as repeat customers. A great customer experience to your beautiful rental unit will almost guarantee a repeat visit to your property. We email all our guests yearround, so when they are ready to book another vacation, they will choose Coastline Condos. Internet Marketing: We know Internet marketing! Our website is attractive, easy to use and up-to-date. We know how to help guests find your property online – easily – when they are planning a vacation in Destin. We manage email marketing to past guests, social media marketing, listing sites and a variety of other internet marketing strategies that will lead browsing customers to our website and to book your property. Promotion: Email blasts, Facebook, pre-arrival, post-vacation follow ups by phone and email make checking in and out smooth for your guests. We ask for their guest experience and read between the lines about things we can do to improve our performance. Reservations Made Easy: Friendly, over the phone or booking online – whether paying by check, credit card, or debit card – we make it easy for guests to book your property in a secure, professional environment. Rental and refund policies are clear and professional. We lower your cost of doing business by absorbing part of the credit card fees, which translates to savings for you . Additional Services: When a guest rents your property, we provide local detailed information about where to find grocery stores, movies, shopping and entertainment while in Destin. For our small dog pet friendly properties, we are clear about how to take care of their pet at your property. We offer travel insurance to help protect their travel investment. Fresh linens are provided and installed in your unit before your guest arrives. 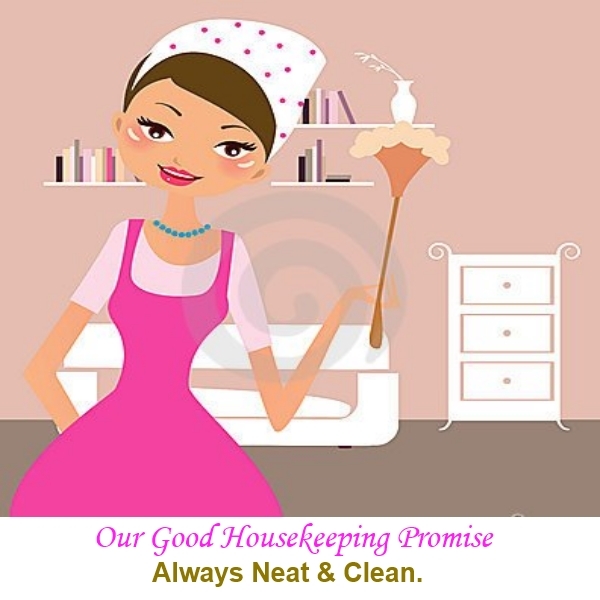 Housekeeping and Inspections: We use trained, skilled housekeepers who keep your vacation rental home clean and above industry standards. Our on-site Inspector is in your property after each cleaning. This ensures consistency, quality and certainty that everything is in order. Any repairs needed are quickly taken care of so that guests are happy and feel that their needs are being met. Maintenance: We make sure all properties are in good shape at all times – safe, clean and in good repair. We offer maintenance with immediate response to problems. We offer maintenance 7 days a week, for your guests’ convenience. Money: As professionals, we maximize the return on your investment property, earning you money when you are not staying in your property. We are confident that we can bring you more revenue than you are seeing now. Records: We keep the records – from revenues to repairs, to paying your county and state bed taxes on your rentals. As your sole property management company, we are the documented payer to the County and State of Florida for your taxes. We collect and pay your taxes, without your lifting a finger! Every year, we send you a 1099 Form to file your income taxes. Communication: Each detailed monthly statement will arrive in your email inbox, including any invoices. Your monthly revenue is deposited directly into your bank account for your convenience. Security: As professional property managers, we are the constant “eyes and ears” for your property. We are local, and care for your property as if it were ours. Instead of sitting empty, your vacation home is active, checked, maintained, and cleaned continuously. We never give away free time in your property as a promotion as many agencies do. Consumer Confidence: Booking a professionally managed vacation rental through a member of the Vacation Rental Managers Association (VRMA) is a seamless process. As members of this professional organization, we have made a commitment to quality hospitality to your guests, professionalism and striving for industry excellence. We are also members of the Florida Hotel and Restaurant management division, which closely monitors our management practices. Time: Professional property managers save you time!! You do not have to advertise on the Internet or manage a real estate listing, answer the phone or read emails to obtain a booking, manage paperwork, pay any taxes, answer phone calls day and night, and on weekends, solve guests' problems, manage maintenance calls, schedule housekeeping, inspect housekeeping, or anything! We do it all for you! Send us an email to [email protected] or use the Contact form on the website. Please mention you are a property owner -- We would love to speak with you! To reach us for a confidential consultation call 423.899.3003.